This ancient flavor has been around for thousands of years, and was once thought to be a symbol of good luck by the 1st-century Romans. This distinctive flavor goes well with rice, salads, fish, eggs, mayonnaise, mustard-base sauces, yogurt, sour cream and mild cheeses. 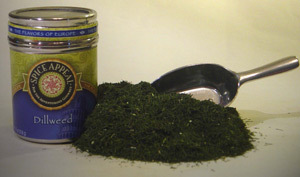 A popular spice for Middle Eastern rice, meat and vegetable dishes. Delicious with Greek stuff grape leaves. Enjoyed in rich and creamy German potato soup.